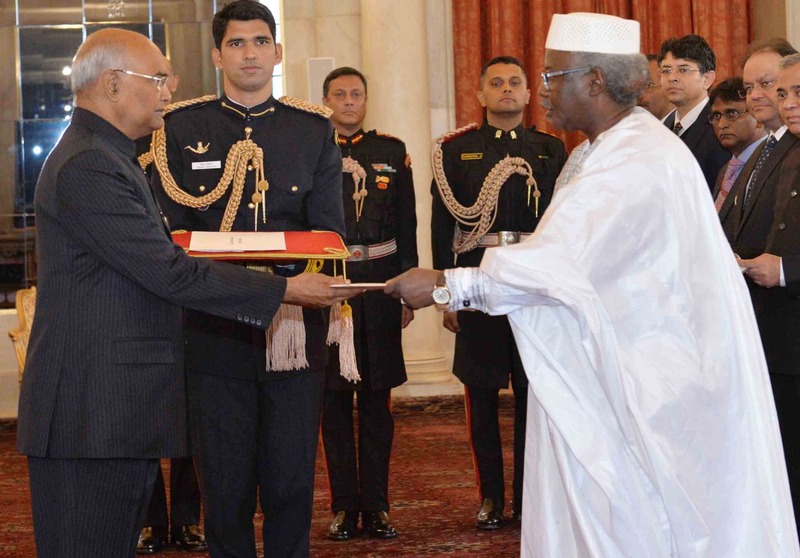 HE Sekou KASSE Ambassador of the Republic of Mali has presented his Credentials to the President of India. Taj Mahal meets Timbuktu - manuscripts of Timbuktu. 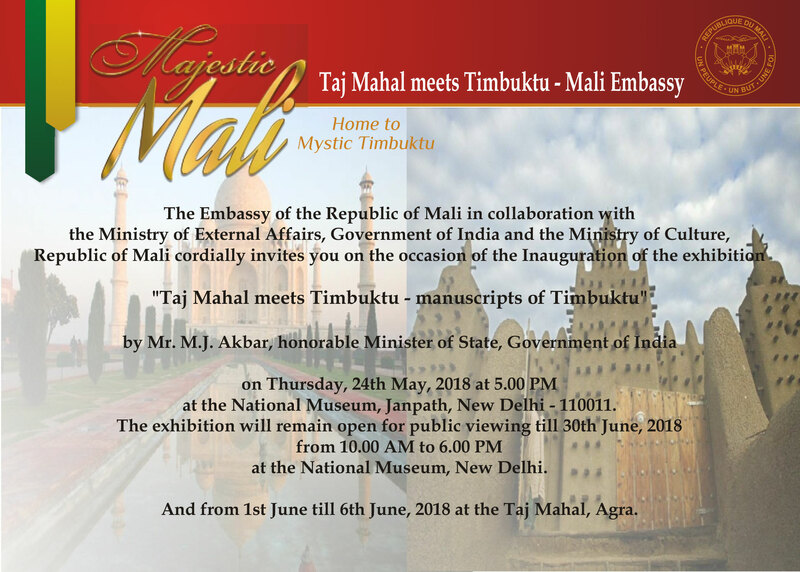 As part of the follow-up and implementation of the recommendations of His Excellency Mr. Mohammad Hammid ANSARI, Vice-President of India in September 2016 in Mali, His Excellency Mr. Mobashar Jawed AKBAR, Of the Minister of Foreign Affairs of India participated on Thursday, March 2, 2017 in several official activities. In the middle of the day, he took part in the National Park of Koulouba, at a luncheon offered to his delegation by His Excellency Abdoulaye DIOP, Minister of Foreign Affairs, International Cooperation and African Integration. 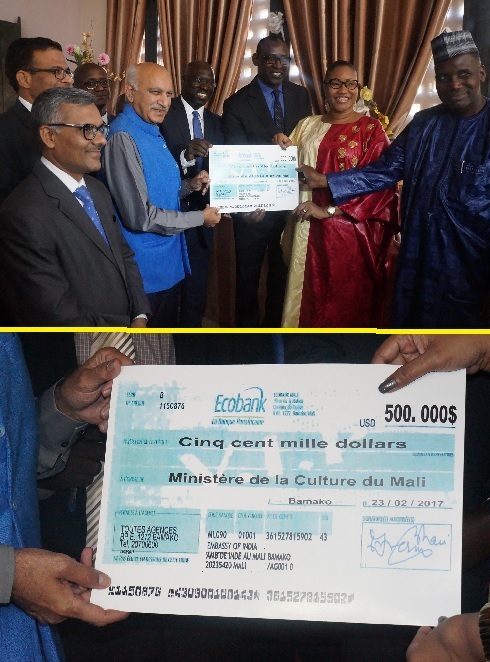 Minister Mobashar Jawed AKBAR, Minister of Culture and Investment Promotion, concretized an announcement made in September 2016 during the visit of His Excellency Mr. ANSARI, Vice-President of India by delivering to the Minister of Culture a check valued at 500,000 US dollars or 250,000,000 CFA francs. This donation will be devoted to the restoration of the Timbuktu manuscripts. The Indian Minister also presented Ministers H.E DIOP and H.E DIALLO with symbolic gifts after he himself accepted a miniaturized door from Timbuktu from his Malian colleague.